Sunday: Closed. Please use Contact button below. We have the right equipment, experience and resources to demolish residential structures, swimming pools, concrete, mobile homes, decks, and other light structures. M&M is a fully licensed, bonded and insured demolition contractor serving the greater San Diego area, including Lakeside, El Cajon and Alpine, CA. We have proudly served the area since 1995. We’ve grown over the years but are still a family owned and operated company committed to treating customers fairly and providing attentive service on every job. We are an experienced and reputable demolition company able to meet the needs of residential and light commercial demolition projects. M&M Hauling and Bobcat is state-licensed and insured for your protection. Our team make safety a top priority on every job. Precautions are put in place to ensure only the targeted structure is demolished and nothing else on your property is damaged in the process. 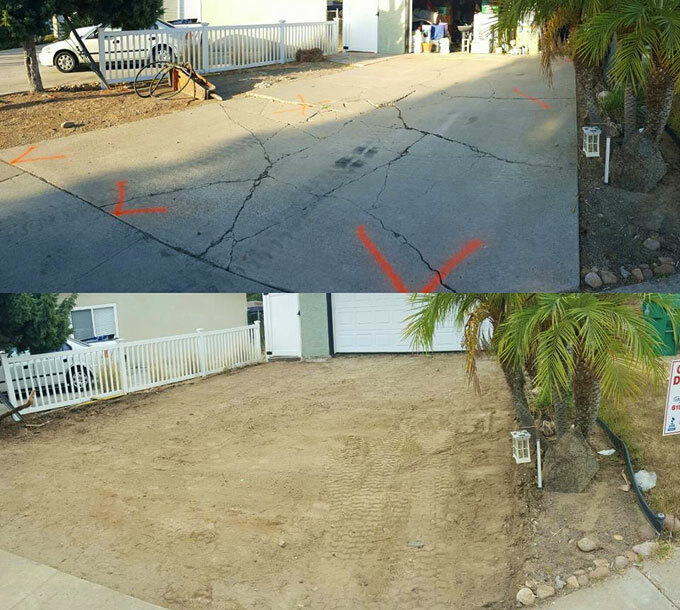 We have more than 20 years of experience removing driveways, walkways, brickwork, slabs/footings, and parking lots. We get the job done from start to finish, including removal of all the debris. Our specialized equipment ensures an accurate and efficient result. 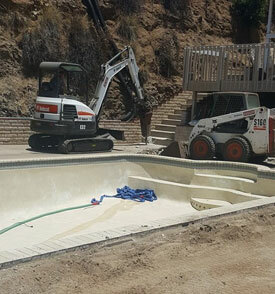 We utilize concrete breakers, scoops, hand tools, and more to complete the job in a timely manner. The expert demolitionists at M&M are experienced in handling a broad range of residential demolition projects. In the 20+ years we’ve been in business, there’s not much we haven’t seen! In addition to complete and partial demolition, we also specialize in grading, excavation and trenching services. 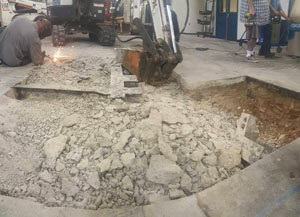 We can not only demolish the structure or concrete element, but also prep the site for its next phase. Contact M&M for details and a free project estimate. M&M Hauling and Bobcat proudly serves the greater San Diego area. We have provided consistent, full-time service throughout the area since 2001. We are a locally owned and operated company that cares about the communities we serve. We take pride in recycling much of the debris we haul away from the job site. 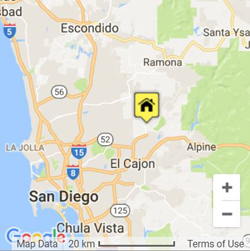 Give us a call at (619) 871-5826 to see if your location falls within our service area. We look forward to working on your next project! Thank you for considering a locally owned and operated business like M&M Hauling and Bobcat.